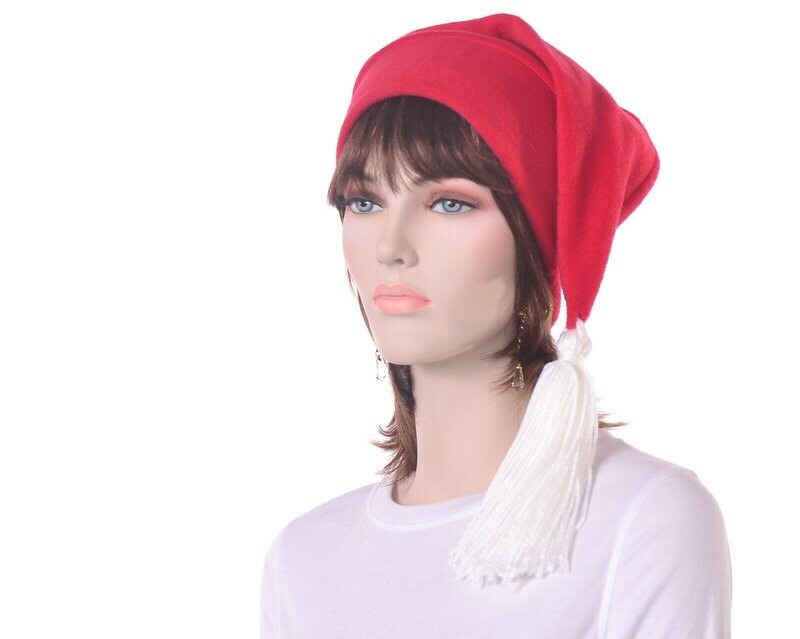 Long red stocking hat with hand tied white tassel. 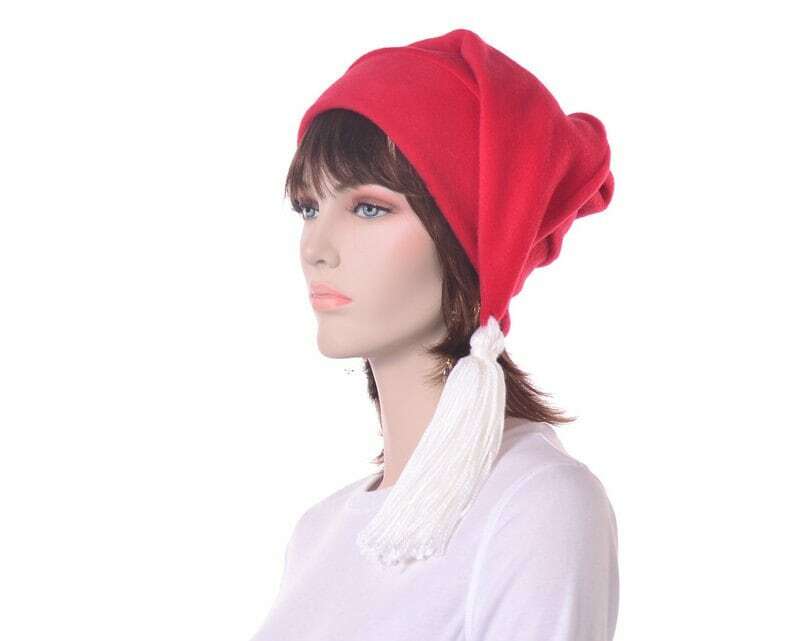 Red headband with large white tassel on end. 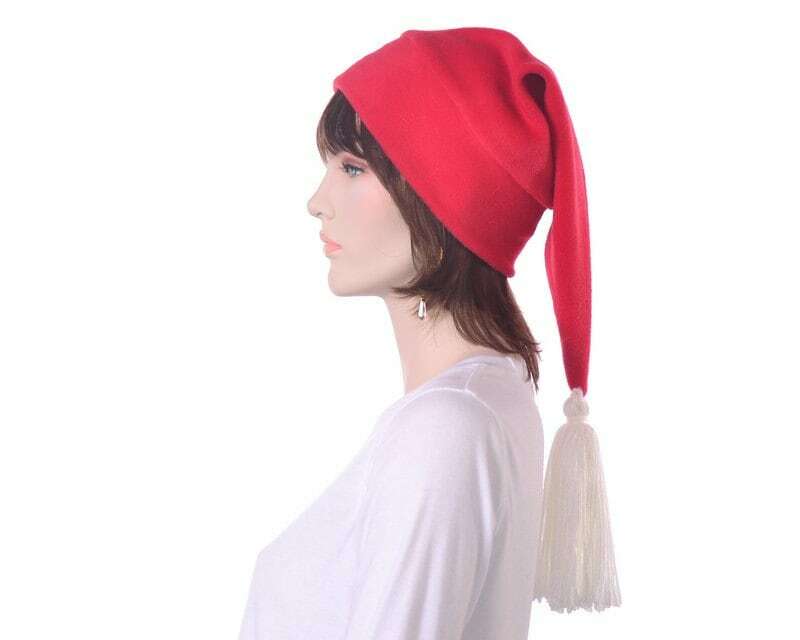 Made from warm fleece.